Barça Women have been defeated by Olympique Lyon at the Groupama Stadium (2-1). Fran Sánchez’s side played well against the current European champions and they remained true to the blaugranas’ way of playing. Goals from Marozsán and Hegerberg has given the French side a slight advantage heading into the second leg of the knockout tie. 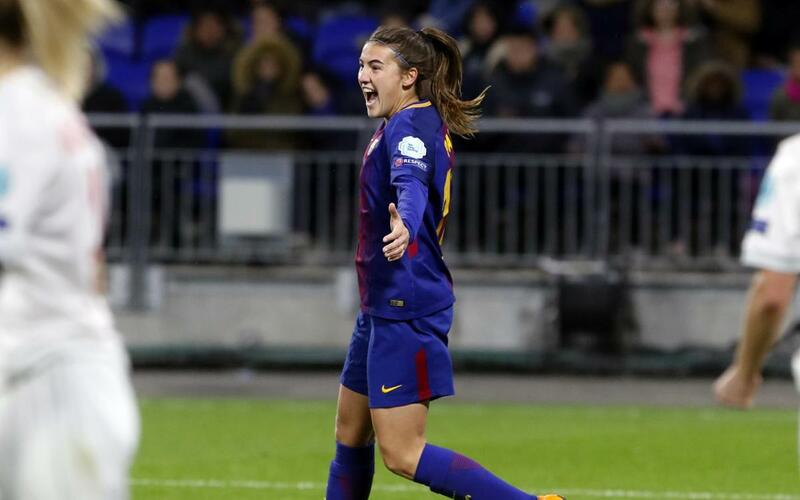 However, Patri Guijarro goal in the 72nd minute and Sandra Paños’ performance in goal give the blaugranas hope that they can turn the tie around at the Miniestadi. The match began with the home side attacking Barça’s goal, as was to be expected. In the 16th minute, their captain Renard saw a dangerous header deflected wide for a corner. The French side dominated the game and imposed themselves on the away team. Marozsán and Hegerberg, from a header, both had chances and they severely tested Sánchez’s team. However, they managed to compose themselves and get into the game more. Just before the break the full-back Bronze went on a run and fed Dsenifer Marozsán, whose shot was well-placed and gave the home team the opener. The second half started with Paños saving a one-on-one with Hegerberg in the 52nd minute. Barça responded with their first chance of note. Fabiana kept going down the right and Duggan received the ball in the middle, but her finish went wide. Fran Sánchez’s side took heart from that opening and they were proving to be a tough opposition for the reigning champions. They got their reward when Andonova’s delivery from a corner almost went in but Bouhaddi managed to claw it out. However, Patri Guijarro was waiting for the rebound and she levelled up the scores. Lyon responded immediately with Marozsán hitting the crossbar. They were pressing for a winner and eventually they got their reward. Marozsán and Van de Sanden combined to allow Hegerberg to finish from the penalty spot. Barça defended resolutely in the final minutes and they are still in touch ahead of the return leg at the Miniestadi as they look to reach the semi-finals.